It is tempting to take the temperature of today’s cultural climate by sticking a finger in the cold past. How do we compare to those who triumphed before us? Is the past our tradition, our culture? But the things that grow in shadows are strange, and there is no darker shadow than the one cast from someone else’s departed golden age. 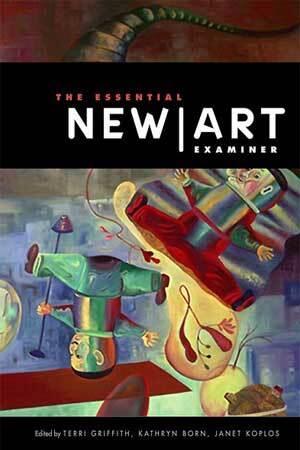 The New Art Examiner, an art-criticism newspaper and then a magazine published in Chicago from 1973 to 2002, has recently been collected into an edited anthology called “The Essential New Art Examiner,” which contains thirty-seven selections from its roller-coaster run through Chicago’s contemporary art landscape and insightful reflections from five of the publication’s editors. This King James version of the New Art Examiner condenses the battles of the old guard into a doctrine of Chicago’s signature art styles and controversies. I can honestly say that I would have loved to write for the New Art Examiner in its heyday. Looking back on its pages, it seemed a vital document of creative expression and critical freedom that is rare (but not absent) today. I don’t read the New Art Examiner wistfully, but as a historical document, a time capsule of sensibilities, attitudes and cultural mini-revolutions. I was afraid that the republication of old exhibition reviews and reports on (now dated) current events would read like weather forecasts from a time and place you never visited, but the anthology’s editors carefully selected essays that educate readers about important progenitors of contemporary art, independent exhibition venues, and the politics of the era, such as Frank Pannier’s take on painting in the 1970s, and the various, nearly lost histories of legendary local institutions and artists. Had I (hypothetically) edited this book, I would not have included the two too many essays by Donald Kuspit, and exchanged them for discussions of artists that no one discusses anymore so as to shake up the current canon of contemporary art history. Other contributions, such as Peter Schjeldahl’s amazing piece on “Chicagoization,” from 1985, and Lynne Warren’s 1979 criticism of the “role of alternative spaces,” are so fresh they could have been written this week. Those essays are enjoyable to read because their authors are articulate experts, but it is frightening how relevant many of those issues still are today. I will not rehash them here, for “The Essential New Art Examiner” will be the new go-to reference book for Chicago’s age-old gripes, insecurities and conflicts. The book should not be used to awaken and perpetuate those old arguments, but to serve as warnings of past pitfalls.